In the ten years since I last reviewed this topic18, focussing in particular on how it may add to our understanding of recovery from early brain injury, there have been several significant developments. These make it timely to reassess earlier views on compensatory mechanisms, neural and behavioural, in callosal agenesis. First, in the last ten years new emphases have developed in our thinking about the diversity of functions subsumed by the forebrain commissures20,56. An earlier concentration on the integrative functions of these commissures has been enlarged by a fresh recognition of their likely inhibitory56 and facilitatoti33 roles (see Table 1). Second, a series of replications of earlier studies carried out on additional cases of callosal agenesis have enabled a re-evaluation of the earlier findings, many of which were based on single cases. This more recent work has helped to eliminate the unwanted effects of possible artefacts resulting from associated abnormalities in callosal agenesis, making possible a greater confidence that the deficits noted in earlier reports are specifically attributable to the failure of the forebrain commissures to develop. 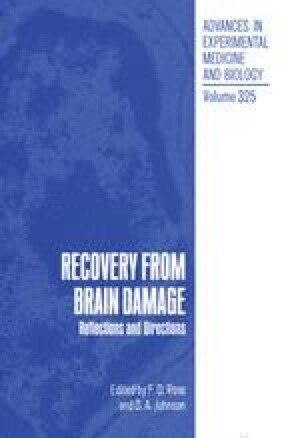 Third, investigations have been extended into new domains so that the overall neuropsychological profile of In the ten years since I last reviewed this topic 18, focussing in particular on how it may add to our understanding of recovery from early brain injury, there have been several significant developments. These make it timely to reassess earlier views on compensatory mechanisms, neural and behavioural, in callosal agenesis. First, in the last ten years new emphases have developed in our thinking about the diversity of functions subsumed by the forebrain commissures2o,56. An earlier concentration on the integrative functions of these commissures has been enlarged by a fresh recognition of their likely inhibitor 16 and facilitatoti 3 roles (see Table 1). Second, a series of replications of earlier studies carried out on additional cases of callosal agenesis have enabled a re-evaluation of the earlier findings, many of which were based on single cases. This more recent work has helped to eliminate the unwanted effects of possible artefacts resulting from associated abnormalities in callosal agenesis, making possible a greater confidence that the deficits noted in earlier reports are specifically attributable to the failure of the forebrain commissures to develop. Third, investigations have been extended into new domains so that the overall neuropsychological profile of callosal agenesis has become more comprehensive and well documented. Thus reports have appeared of studies of language8,28,49,50, memory3 and stereo perception21 in callosal agenesis, as well as detailed and careful analyses of bimanual motor performance28,9.